Search engine optimization (SEO) is the process by which you make your Web pages rank higher in the results of Web searches made with search engines, such as Google, Yahoo, Bing, and others. This process involves writing effective content that promotes your website and including that written content in appropriate HTML tags on your Web pages. In this way, SEO involves effective writing, clever marketing, and proper HTML coding, so it is both a technical and a creative endeavor. While the technical part can be relatively easy to explain, the creative part takes practice and feedback. The following list of tips covers the most general technical issues you should consider to help improve your website’s SEO and make your Web pages more search engine friendly. There are many more technical issues to explore, and SEO is covered in more depth in Portland Community College’s Search Engine Optimization class (CAS 180) which is offered in class and online. Write good, clear text content without typos. The text should include words (keywords or keyword phrases) that are likely going to be used by people in search engines to find pages like yours. It’s also preferred that you have the company name after your keywords, not before them. The W3C has determined, for the compliant browser, that the title should be no more than 64 characters. Some search engines cut off titles that are over 40 or 50 characters in their databases. Use keywords in your text content on pages, and it’s best if the keywords are higher up in the HTML, particularly in the title and header (h1, h2, etc.) tags.Don’t use the same keyword phrases on every page. Try to alter their order or grammar and use synonyms as appropriate. In other words, if you say “a Portland independent film company” on one page, use “an indie film company based in Portland” on another page.Avoid keyword stuffing which can have your site excluded from search engines. This Wikipedia article about keyword density can help you determine how often you should use certain words on your site. This keyword analyzer can show you how your pages rank in terms of density. Always have alt text on all your images. The alt text should be relevant to the picture and in proper English. Also, it’s best that the alt text on every picture of your site is unique — if the image is duplicated on every page, like a logo, you can still use different alt text on each one on each page. The HTML (Hypertext Markup Language) specification does not define a maximum length for values of alt attributes. Current versions of the leading screen reader programs have no limits on the amount of alternate text they will read. However, some screen readers (or automated services that translate written data to audio) divide the alt attribute text into distinct chunks of 125 characters each (excluding spaces), and read those 125 character chunks separately. Due to the way it’s divided and read, it will give the feel to the listener that the 125 character chunks might go with separate images if more than one is read per image. So this provides you with one technical justification for keeping your alt text to a minimum (125 characters or less). The text used in your a tags should include text related to the target and, if possible, keywords related to the content of your site/page. This gives you a double bonus because the text is considered text content and is read by the search engine in that context, then the search engine reads it a second time as link content. Avoid duplicate content on separate pages. Google and other search engines take into account the number of links pointing to your page to determine how important your web page is. If you have identical content appearing on two different pages on your website, some sites will link to one page while others will link to the alternate page. The result is that neither of those pages will be regarded as very important in the search engine’s index since you have effectively halved the links pointing to your article. Validate your HTML and CSS. Meta tag descriptions are useful for many search engines. They don’t usually affect ranking directly, but they are displayed in the SERP of Google. For this reason, they can influence click-through-rate, so crafting appealing descriptions is important. Never use the same meta descriptions from page to page. Alter their order or grammar. It’s also best to craft the meta description text after the text content on the page has been written so the description relates to the text. The meta tag descriptions should be 160 characters maximum and be written more like a sales pitch — use benefits-oriented language with you-focused sentences. Stick with specific nouns and their relevant adjectives for your keywords. Avoid stop words such as “a”, “an”, “and”, “the”, etc., because they are so common they no longer are useful as keywords. For example, if you’re selling boxes on your site, be specific about what kinds of boxes. Instead of “boxes” use “cardboard boxes”. Update your content regularly, if possible. Consider using an interactive forum or blogs on your site that have articles that are posted regularly. Having articles that users can comment on will cause your pages to update more frequently in search engines. Avoid frames (the deprecated frame tags). iframes are still usable and are required for embedded content like YouTube videos and Google Maps, but they won’t usually give your page any benefit to ranking. Use links from your site that go to sites that are related. Broken links will likely hurt your SEO. Get linked to by legitimate sites. Avoid paying for links or getting links from sites that do not have similar content as your site. When naming Web pages, images, folders on your site, or even the domain itself, use keywords in their names separated by hyphens if possible. Never use spaces as separators. The folder that contains the blog for gregkerr.net is called greg-kerr-indie-film-blog and the image of Greg Kerr on the home page of gregkerr.net is named greg-kerr-portland-independent-filmmaker.jpg for example.This may seem extreme, however, these can provide more keywords and improve your search engine ranking in many search engines.Also, search engines view hyphens as separations between distinct words. 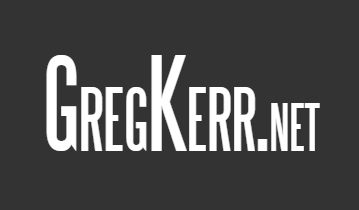 On the other hand, underscores, like “greg_kerr_filmmaker” indicate that the separated words are actually one word, so this would be viewed by a search engine as “gregkerrfilmmaker”. Always use hyphens when separating words, and underscores if you want to combine words.